Your dealership Avg. Discount Report. Are you tracking it??? The question isn’t about your Avg Discount you have your cars priced to market. The question is, your transaction sale price compared to the last / most recent sale price the car is priced at online before it was removed and tying it back to sales mgr’s that desked the deals and the reps that sold the cars . Are you using Excel and making a spreadsheet? Maybe using Google Charts or Plotly or something along those lines. Maybe your CRM or DMS has the data in it? Currently I don’t have anything in place to track it. Sure we track gross and other items but not the Avg. Transaction Discount . I think this would be something interesting to track Sales Mgr’s and Sales Reps on. Millennials, the term used for the generation born between 1982 and 1997, differ substantially from previous generations when it comes to how they shop. This is equally as true for household items and consumer electronics as it is for cars. 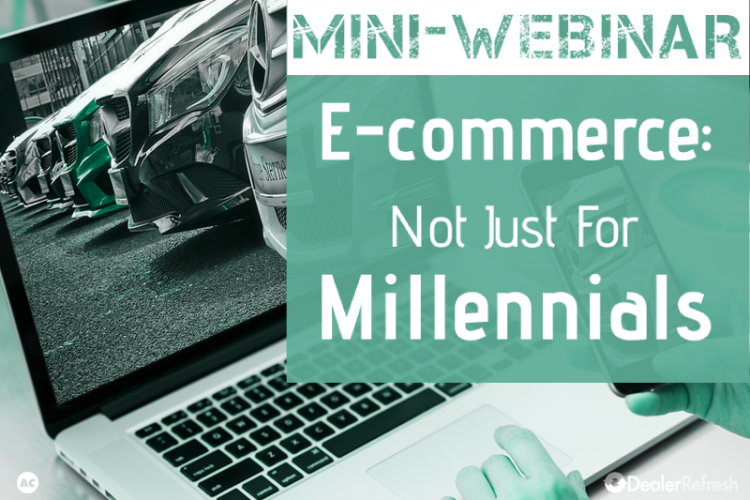 Dealers, however, because of the unique complexity to shopping and buying cars, are faced with tremendous new challenges when it comes to embracing e-commerce, but they still need to adapt to accommodate this generation of shoppers. In this video with Drive Motors Head of Growth Rune Hauge, we touch on what defines a millennial, their core values, and how to enhance the shopping experience with this demographic. Premium Members may immediately access the complete version here in the forums. When the market is down, sales are declining, and lead volume is lower than normal, how can your dealership respond, not just to maintain a flat line, but to turn around the trend and outsell the national average? What information is available, and what tools exist, to tackle this not-so-uncommon scenario? When Morrie’s Brooklyn Park Subaru began experiencing a considerable decline in lead volume earlier this year, they were faced with this exact issue. In addition to a large drop off in leads, their lost sales and defection rates were significantly higher than the national sales trends. They needed a solution to identify the source of all lost sales, and a strategy to reduce the rate of defection to other dealers, while growing their market share in surrounding zip codes. That solution, was AutoHook’s Traffic Conversion Analysis tool. 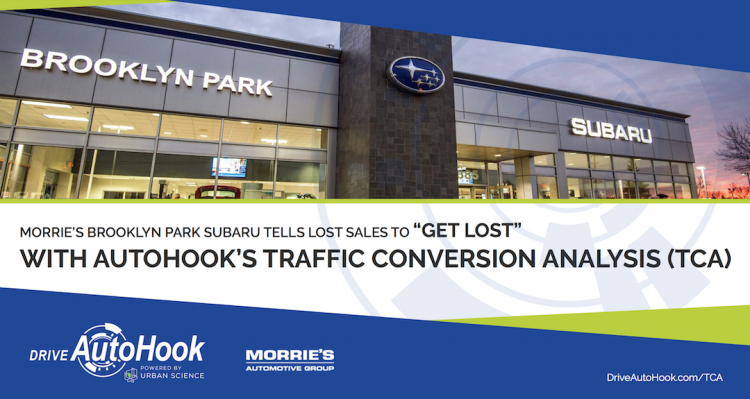 Morrie’s Brooklyn Park Subaru used AutoHook’s Traffic Conversion Analysis (TCA) to identify the sources responsible for the highest number of lost opportunities during the 90-day period. 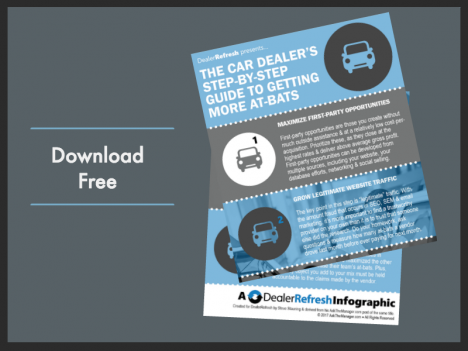 TCA is the first ever report that allows dealers to view and compare their own sales data versus the sales they lost, and defection trends to competing stores or brands in their market. 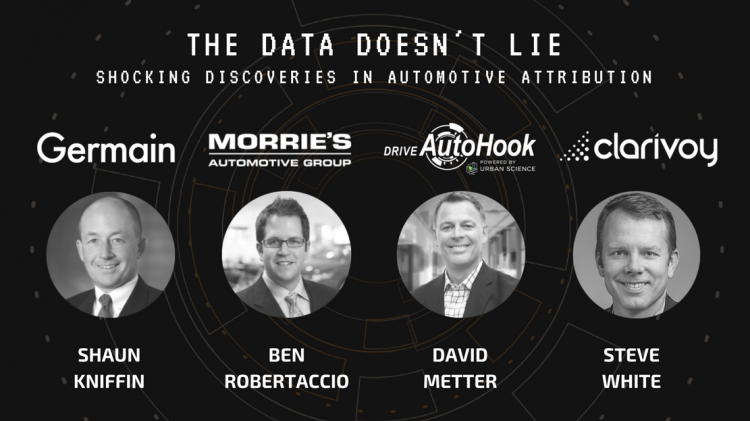 It works by taking a dealership’s CRM data and matching it up against Urban Science’s near real time sales database in order to reveal their greatest opportunities and losses. A chain is only as strong as its weakest link and when it comes to building a profitable buy center at your dealership, those links are your people and your processes. Outfitting your buy center with skilled team members is a difficult and essential ongoing effort for all managers and directors. 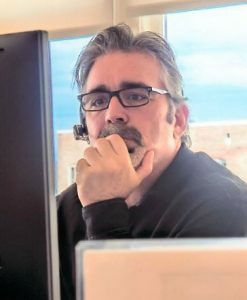 In the video below, the following points are highlighted in this condensed mini version of the original live web chat which aired in September 2017 where Vehicle Acquisition Network Founder Tom Gregg and Del Grande Dealer Group Used Vehicle Director David Long discussed what it takes to build and manage your used vehicle acquisition team. Upon hearing news just now that Authenticom has informed 55 employees that they will be laid off effective Feb. 2 because of the company’s prolonged antitrust battle with two larger companies, I have to say this is a sad day for our corner of the industry, not only for the workers affected, but also the automotive community as a whole. 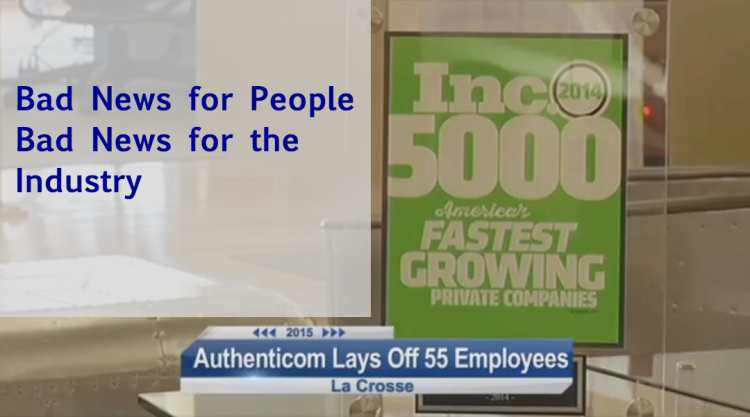 In July, Authenticom won a court injunction over Reynolds & Reynolds and CDK, forcing the companies to continue making it possible for Authenticom to service it’s customers, dealers and providers alike, but the battle to continue doing so is taking its toll, which is exactly what Reynolds & Reynolds and CDK knew they could accomplish soon enough. Cottrell’s announcement to the affected employees came two days after the Seventh Circuit Court of Appeals in Chicago dealt Authenticom a blow in its suit, which the company filed in federal court in Madison on May 1. Authenticom, which tried to hold its number of layoffs to the dozen announced in August, set the Feb. 2 date to lay off the 55 to extend benefits for them, Cottrell said. They will receive help with job-placement efforts, resume writing and other assistance needed to secure new jobs, he said. “These are the people who made this company, and made us a success,” he said. “This is a tribute to what the larger team has done. We have found significant opportunities outside of the automotive sector,” he said. “Change is on the horizon, and we are inspired by the way our industry has embraced both technological change and at the same time pushed back on the status quo of control of emerging technology by the privileged few,” he said. For a complete breakdown of the backstory and timeline of events of this situation, read Dealers Still Own Their DMS Data…For Now. So I am pretty familiar with the laws in our state when it comes to us as a business and advertising inventory. But when we have a special running and a salesperson posts the special on their personal page/profile without any disclaimers or stock numbers. Does that become an issue for the business? Also, in this instance the person is not posting an image of the ad or anything its just pictures of cars and the general verbiage of the promotion.